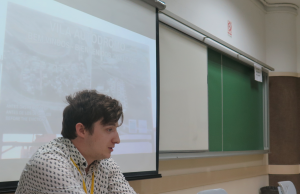 On July 28, 2018, Catalytic Communities (CatComm) organized a panel entitled “Resignifying Favelas Based on Core Qualities: History, Solutions, Resilience, Resourcefulness” as part of the 14th International Conference of the Brazilian Studies Association (BRASA) at the Pontifical Catholic University (PUC-Rio). Taking advantage of the unique opportunity at a conference of international academics who research Brazil, the organization assembled a discussion forum extending beyond those researchers participating in the panel, inviting community organizers from Horto, Rocinha, Vale Encantado, and Maré, as well as CatComm research collaborators, to present their work. The first panelist was urban planner and CatComm founder Theresa Williamson. Williamson spoke on the topic of “Favela as a Sustainable Model: Mapping Sustainability and Resilience across Rio de Janeiro.” Her talk focused on the development of the Sustainable Favela Network in support of the numerous efforts to promote environmental sustainability and social resilience in Rio’s favelas. 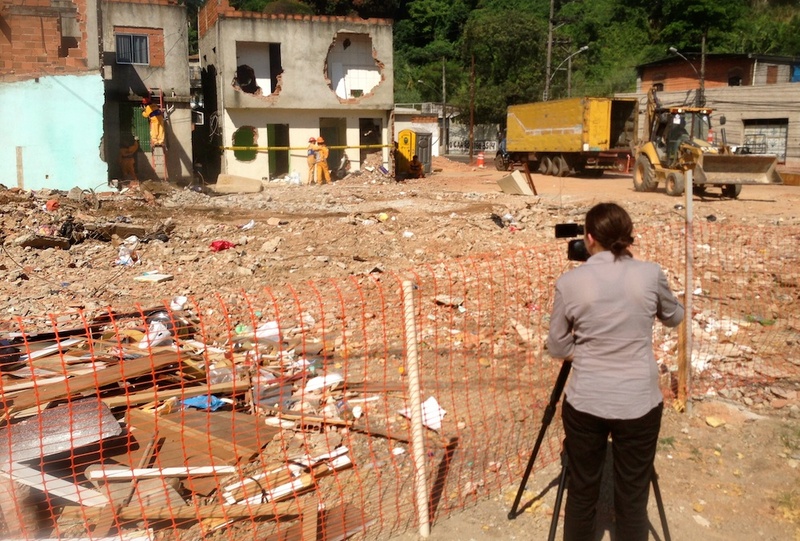 She began by telling the audience about the Favela as a Sustainable Model short film. The film was produced by CatComm in anticipation of Rio+20 (the United Nations Conference on Sustainable Development) in 2012. 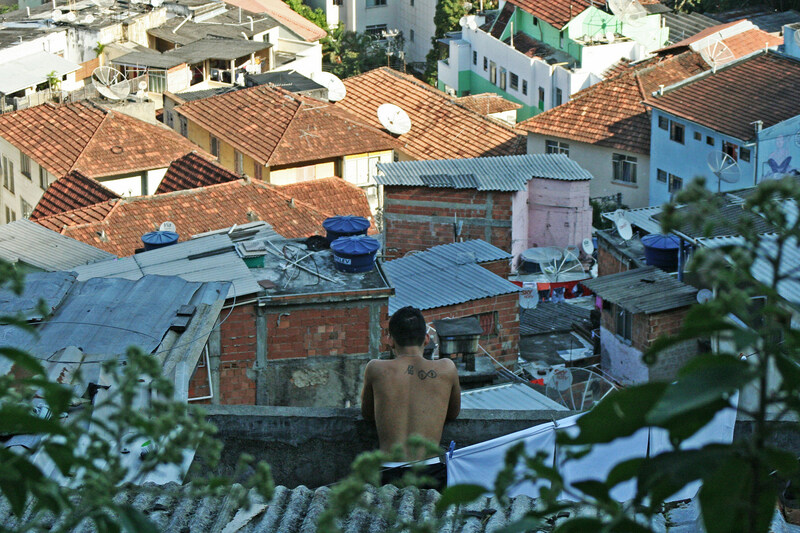 At the time, the idea of the film was to encourage discussions on the potential for sustainable development in favelas based on their inherent sustainable qualities. She stated that the film has been screened in several favelas in Rio and at film festivals across Brazil, and is frequently used in university courses abroad. The film’s production stemmed from the demand for visibility surrounding environmental issues articulated at the time by fifty community projects, with a focus on eight communities and their initiatives. Thinking that the film would be controversial, Williamson noted that to the contrary, she has been surprised with the film’s overwhelmingly positive reception over the past five years. Williamson continued to describe that CatComm’s next actions in creating the Sustainable Favela Network arose from the discovery of LEED for Neighborhood Development (LEED-ND), an international certification for sustainable neighborhoods. She recounted that in 2014, Ilha Pura—the Olympic Athlete’s Village destined to become a luxury condominium complex in Barra da Tijuca—became South America’s first neighborhood to receive the certification. 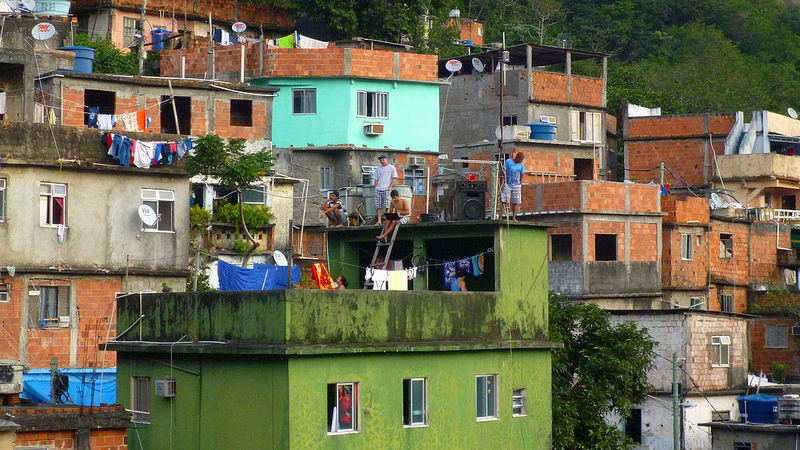 This provided the opportunity to compare the condominium to a neighboring favela. 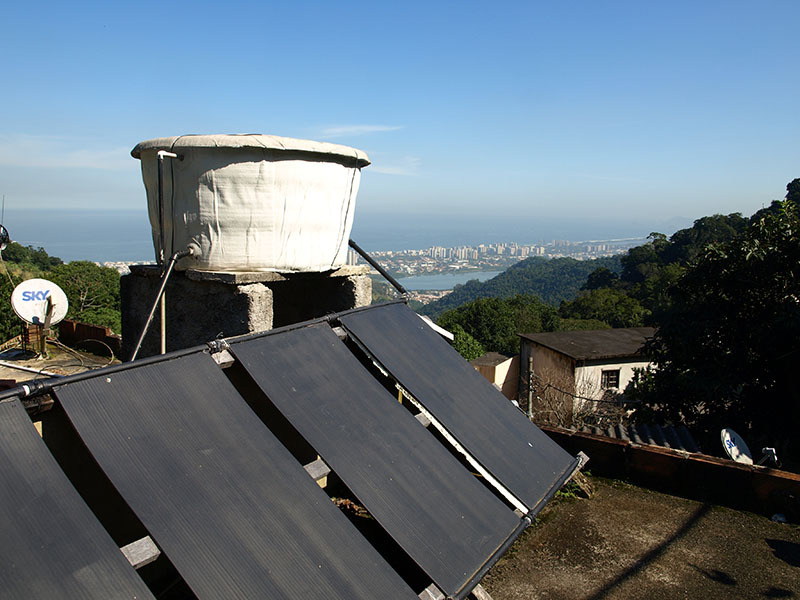 Together with one of the architects and creators of the LEED-ND certification, a CatComm volunteer collected data on the favela Asa Branca, located near Ilha Pura. The research revealed that according to the very standards of the international certification, Asa Branca scored better than the condominium in terms of sustainability. Williamson explained that through these experiences—understanding the pertinence of the idea of sustainable favelas and the growing movement of community actions working toward local environmental sustainability—the Sustainable Favela Network was launched in 2017. She stated that the Network aims to connect initiatives focused on resilience and sustainability that are already working in favelas, allowing for a broad exchange of knowledge and collective actions among the projects. The first step in creating the Network involved comprehensively mapping 111 projects with the intent of increasing the transparency and visibility of these initiatives. Williamson also spoke about the process of initially forming the Network, with outreach conducted via social networks. The survey yielded 158 responses representing all five planning areas and 26 of the 34 Administrative Regions in Rio, in addition to 14 municipalities in the Greater Rio Metropolitan Region. 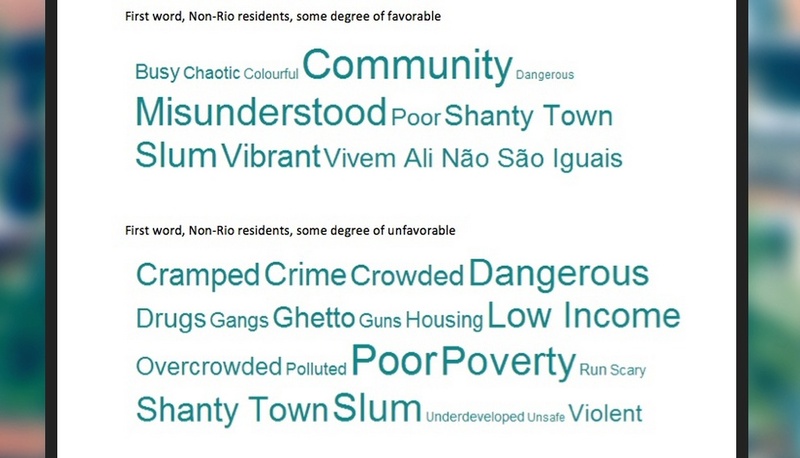 Of these respondents, 62% were favela residents and 52% were women. 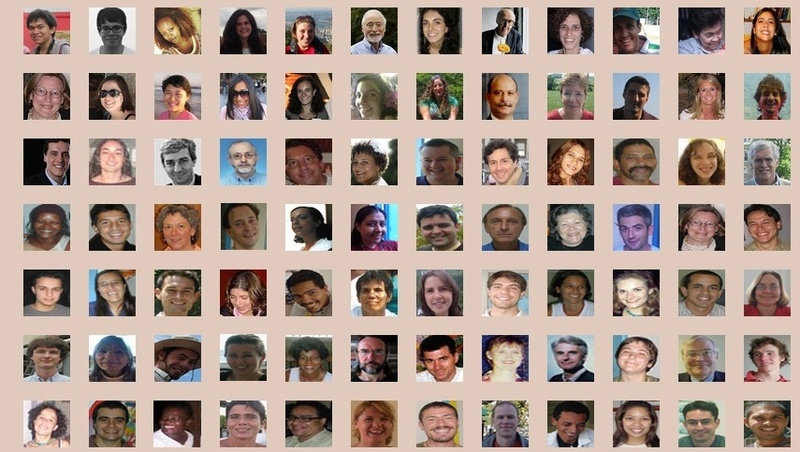 In total, 111 ideas and initiatives were mapped. Williamson stated that the next step will be a series of extensive and intensive exchanges among the 111 initiatives, which will take place from September through November 2018. The next panelist was Gitanjali Patel of the University of London, who presented her master’s research entitled “Meddling with Memories: The Emergence of Community Museums as Tools to Resist Marginalization in the Favelas of Rio de Janeiro.” She discussed the importance of these community museums as tools of resistance. She began her talk reflecting on the origins of these museums. “The recent growth of community museums marks a change in power relations between these communities and the city.” She affirmed that communities’ histories, as represented through the collective memory of residents, are often excluded from national museums and archives. Therefore, developing these grassroots museums serves as a way of affirming the community’s right to history. Patel described the establishment of the Maré Museum in 2006, which began through an initiative to collect photographs, videos, newspaper excerpts, and oral histories within and outside the community. 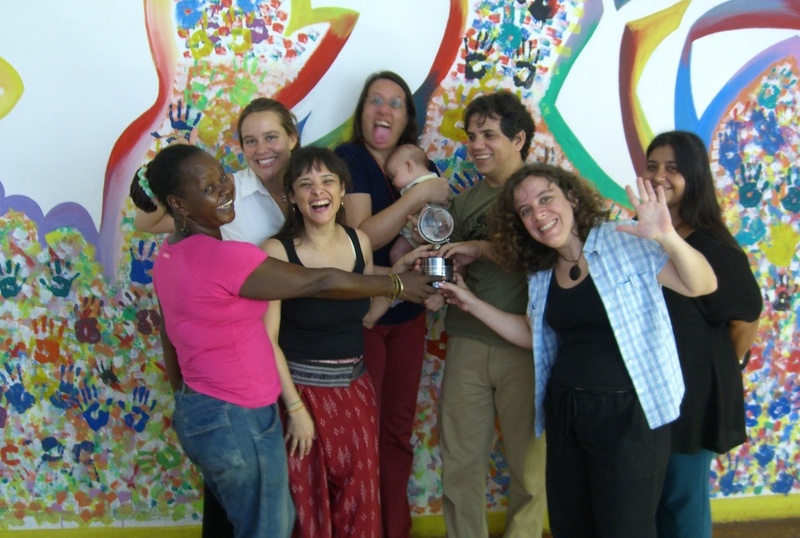 Similarly, community museums have also been created in Horto and Rocinha. The speaker reflected that it is useful to consider the emergence of community museums in light of observations by philosopher Walter Benjamin. Patel described that according to Benjamin, historically articulating the past does not mean knowing it as it indeed “was”—it means appropriating a reminiscence, just as it flares up in moments of danger. She explained that this, however, does not mean that history is only articulated in moments of threat, but rather that these memories are at risk of disappearance if they are not recognized in the present. 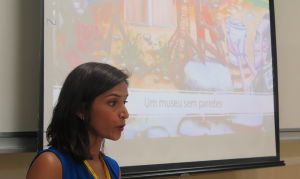 Patel cited the example of the most recent community museum, the Evictions Museum, which was established to document evictions in Vila Autódromo and the resistance movement that permitted twenty families to remain. Patel went on to say that there are different forms of resistance—territorial museums are one such form. She highlighted that the Favela Museum in Cantagalo and Pavão-Pavãozinho uses the physical space of the favelas as a museum, transforming it into a living institution with no walls or windows. She concluded by noting that community museums seek to memorialize histories that are omitted from official records. The next speaker was Adam Talbot, professor at Abertay University, who delivered a talk entitled: “Memory Can’t be Evicted: The Politics of Place in the Evictions Museum.” Talbot focused his presentation on the forced evictions in Vila Autódromo carried out for the 2016 Olympic Games, and briefly chronicled the community’s history. He recounted that in the 1960s, a fishing village was established on the banks of the Jacarepaguá Lagoon in Barra da Tijuca; this community would later become Vila Autódromo. Barra da Tijuca began to expand only in the 1980s. In the 1990s, the first attempt to evict the community took place. 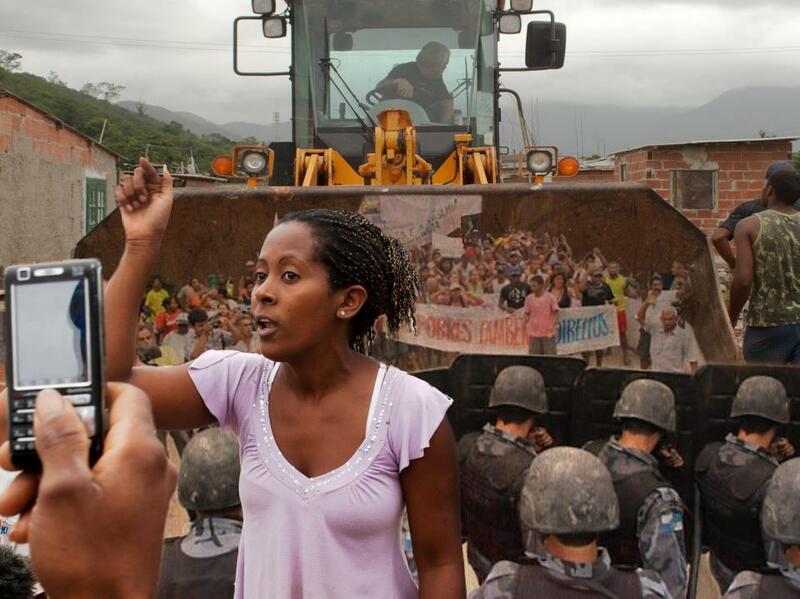 However, through mobilization and resistance, residents were able to obtain land rights via a real use concession from the State of Rio de Janeiro. In 2009, when it was announced that Rio de Janeiro would host the 2016 Olympic Games, approximately 600 families were living in Vila Autódromo. 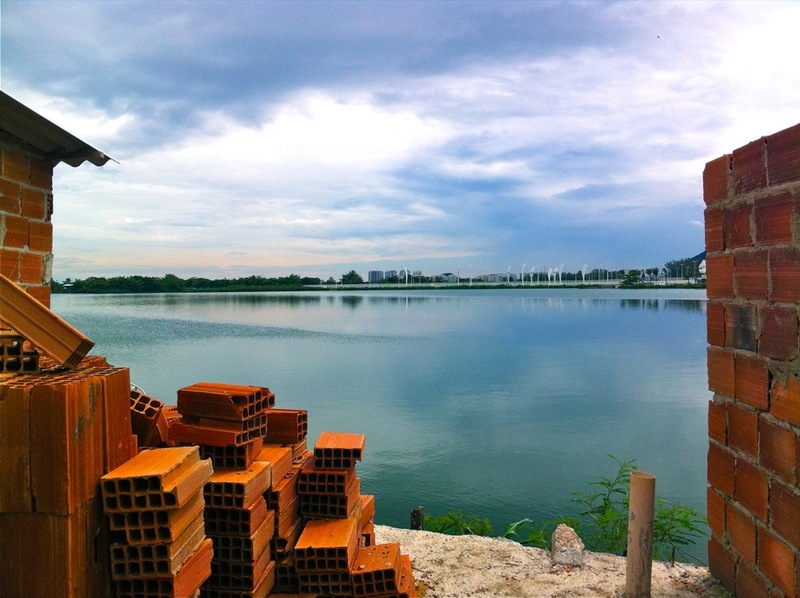 As the future Olympic Park would be constructed near the community, the City initiated the process of eviction. Talbot said that one resident described the government’s actions as a form of “psychological terrorism.” In the end, twenty families were able to remain in the community. The panelist continued to describe that the government justified the necessity of eviction by citing the construction of an accessway to the Olympic Park, as well as the environmental recuperation of the Jacarepaguá Lagoon. The real motivation, according to Talbot, was to remove the favela from view and increase property values around the Olympic Park. Talbot said that to resist the eviction process, residents organized various events in the community, led by the movement Occupy Vila Autódromo, in effort to garner support for the community. These included musical performances, film screenings, and soccer tournaments. For residents, the events served as a mechanism to reinvigorate and strengthen resistance. “These events countered the sense of abandonment,” reflected Talbot. Talbot also believes that these events played an important role in creating a new way of thinking about the favela. Through music and sport, those who observed and participated in these events came to see the community as a welcoming, safe, friendly place—countering the negative vision imposed by mainstream media. 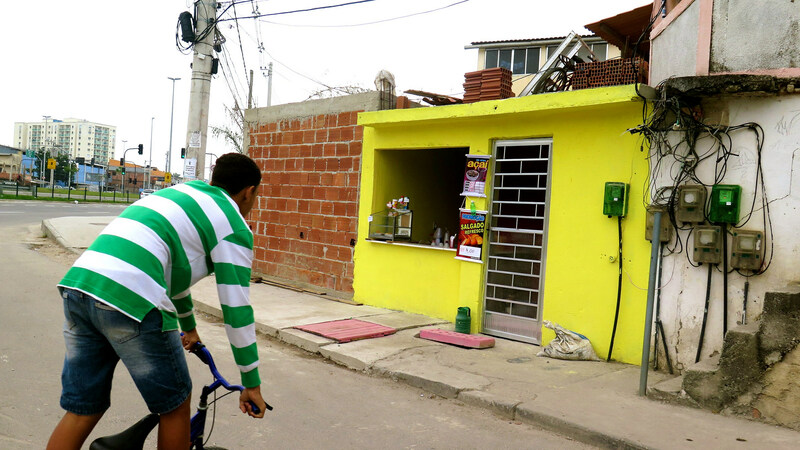 By sharing photos and videos of these events via social networks, this new form of thinking—devoid of prejudice and negative stereotypes—succeeded at reaching audiences beyond the residents of Vila Autódromo, Talbot observed. He also noted that the Evictions Museum, inaugurated in May 2016, was another form of resistance created by residents. “This museum represents the continuation of Vila Autódromo‘s symbolic struggle,” Talbot declared. He concluded that the concept of the favela that lives on in the museum is the same as that demonstrated by Occupy Vila Autódromo: that it is a receptive and friendly community. Following Talbot, Jessica Glass, a doctoral student in anthropology at Tulane University gave a talk entitled “Resilience Theory: Building Intelligence through Resistance and Resourcefulness.” Glass described that she was in Rio in 2016 to organize discussions with people who were facing eviction. During this time, she met a man who worked at a nonprofit in Southern California that served high school students (predominantly immigrants and refugees) who struggled with traditional exams in school. The organization sought new ways to test their students because they believed that poor academic performance was not the consequence of a lack of intelligence, but rather of a failed system of evaluation. Glass spoke of “Resilience Theory,” a theory that people who have experienced trauma or great adversity are often very intelligent, but it is a type of intelligence that is not tested in traditional exams. This idea caught Jessica’s attention because she had met many people who didn’t have much formal education, who had suffered countless experiences of trauma and violence, and who were clearly very intelligent. 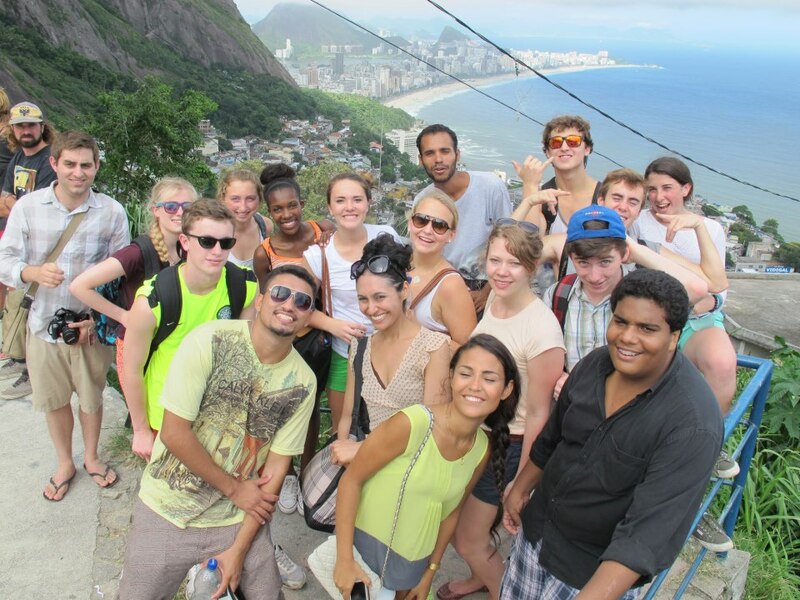 Some of these people she met during visits to favelas in Rio. According to Glass, these individuals were often more highly aware of their surroundings and what was going on in the city than residents of the formal city with high levels of education. Glass noted that society tends to value individuals based on their level of education, which supports the permanence of structures of inequality. As the lack of formal education affects a person’s “value,” it directly alters how that individual is treated. This, in turn, plays an important role in determining the way in which the individual will come to view their own identity as a citizen. Based on this idea, Glass wanted to analyze how cultural identity combined with resilience theory could incite change in the valuation of skills. Resilience Theory supports the idea that people who adapt and overcome adversity and develop intelligence from these experiences depend on two basic conditions: exposure to trauma and success through adaptation. However, Glass warned that overvaluing the positive consequences of trauma—such as the development of intelligence—may lead us to discount the negative impacts that it causes. “It is absolutely important to value the strength and resilience that emerge from adverse situations, but I’m not sure whether the focal point should be celebrating these strengths. I ask myself whether or not this theory could involuntarily be used to reinforce stereotypes of marginalized identities,” she said. Next, we had the opportunity to hear directly from community representatives of social movements and initiatives that inspired the preceding presentations. The first speaker was Emerson Souza, coordinator of the Horto Museum. Souza referred to the speech by Glass and agreed with her position that there exists a need to be strong and resilient in order to survive the problems faced by communities at risk of eviction. “I realize that we value this [strength] and disregard people who are in a moment of temporary weakness, which is the situation that we are experiencing in Horto.” Souza said that Horto’s residents were once more secure because the Botanical Garden recognized the families that lived there. Currently, the Botanical Garden is being privatized and the community’s manpower has diminished. Souza stated that in this context, the Horto Museum emerged as a means to strengthen the community, organize projects, and promote workshops. The second representative to speak was Otávio Barros, president of the Vale Encantado Cooperative. 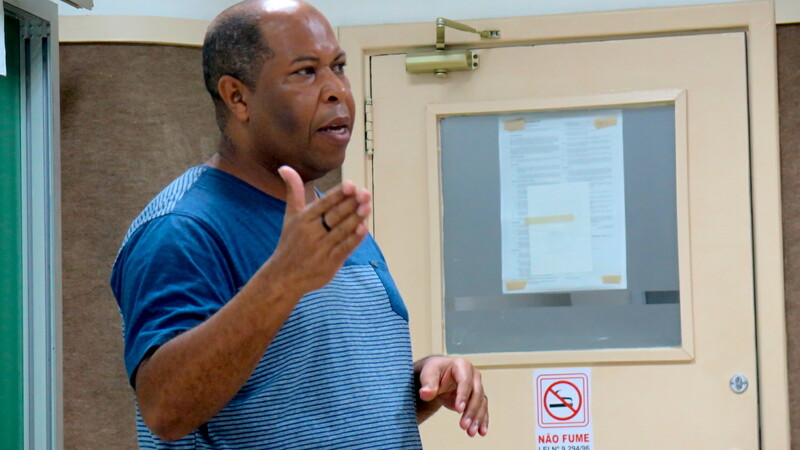 Barros recounted that the community has faced eviction threats from the Ministry of the Environment for twelve years due to false accusations about the community’s environmental impact. Barros described the ongoing sustainability work that has been conducted in Vale Encantado since 2005. He stated that these projects have been instrumental in creating ways for the community to defend against evictions. He reported they have already built a sewage treatment biosystem that connects five homes to prevent sewage from being disposed of directly into the environment. 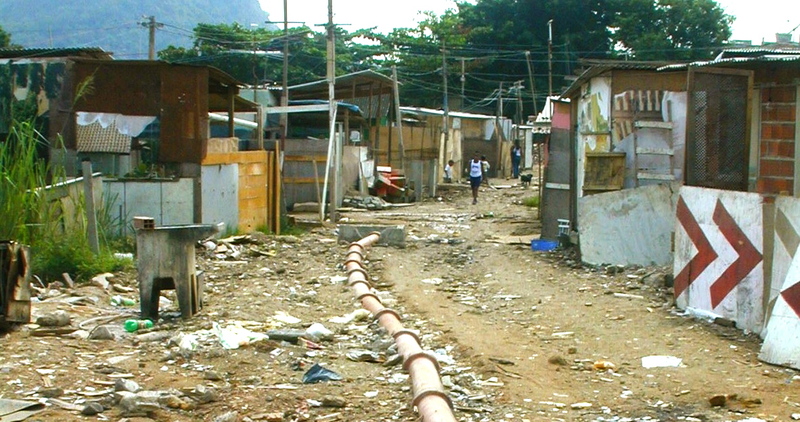 In addition, they are working with a German NGO to obtain financial resources to connect the remaining houses in the community to the system. He stated that today, guided visits are an important part of the community’s projects. During these tours, visitors learn about the community’s flora and fauna, as well as medicinal herbs. 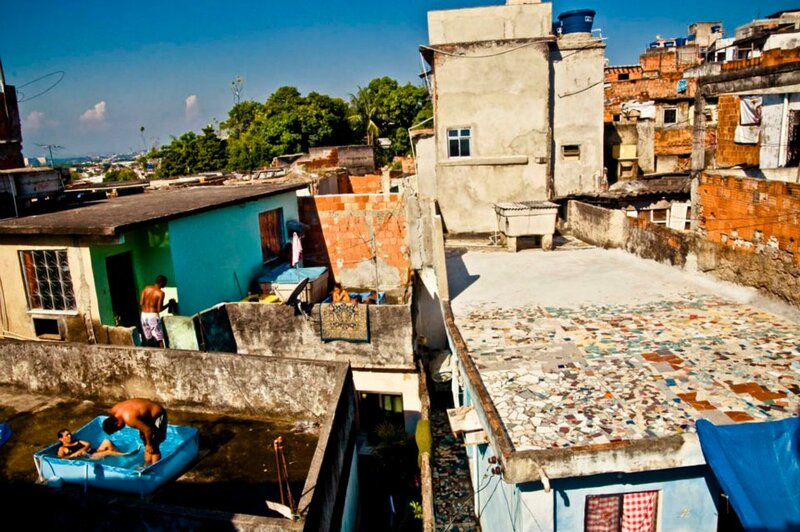 According to Barros, by increasing its sustainability, the community can help change outsiders’ perceptions of housing situations in favelas. 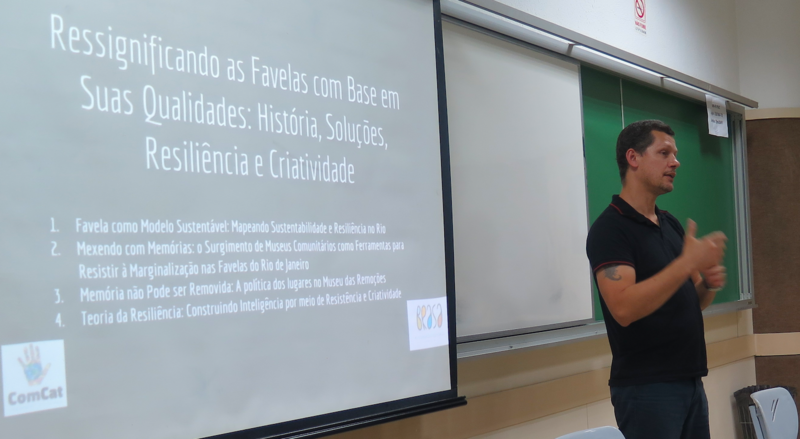 The next speaker was Fernando Ermiro—a historian, graduate of PUC-Rio, resident of Rocinha, and tour guide for the Historical Rocinha Tour. 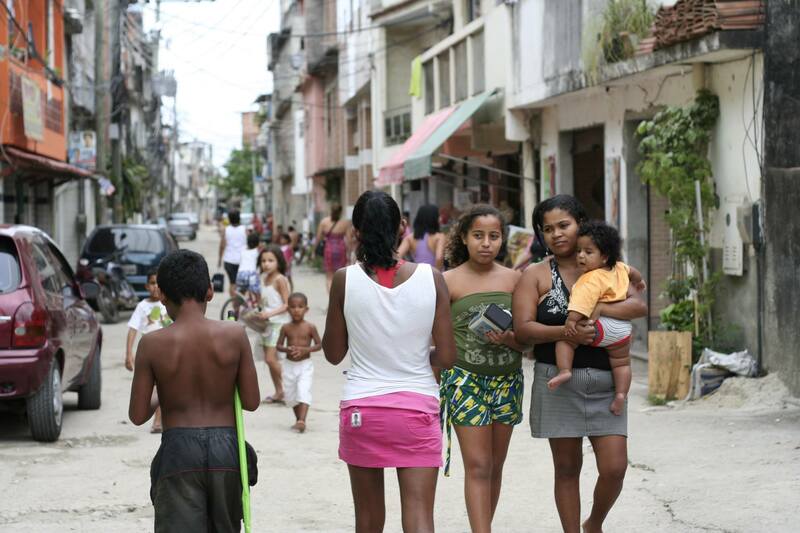 Ermiro said that academic study is not adequate to understand the reality and social history of favelas. As a result, he needed to return to studies conducted directly in Rocinha in order to understand, in practice, which concepts apply and which do not. “For example, what I learned here at PUC, when I returned to Rocinha [I found] it impossible to [put these theories] into practice. The classes here have seven people. There, you go to a real classroom with 40 children and 35 minutes [to learn]. 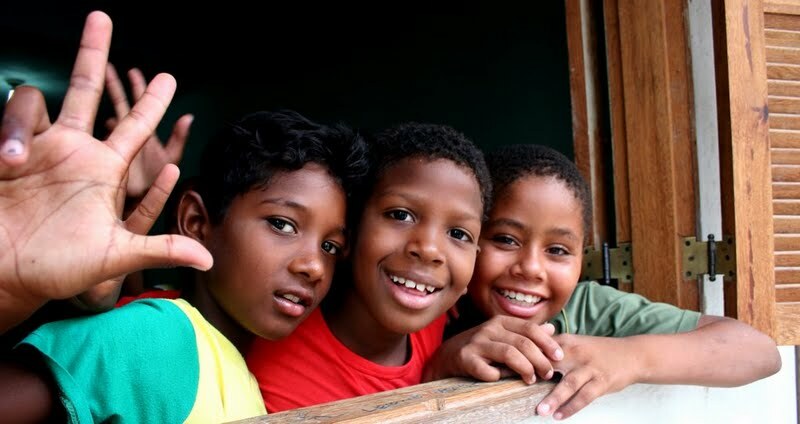 If you aren’t open-minded, you’ll say that children from the favela have no [potential].” For Ermiro, it’s necessary to resignify all of the concepts learned at the university. With the intention of doing precisely that, the idea of the Sankofa Memory and History Museum of Rocinha emerged. Ermiro also critiqued some points previously mentioned, for example, the use of the term “community leaders.” For him, there are no community leaders because it’s impossible for one person to represent the population of an entire community. “I live with 100,000 people. I do not represent 100,000 people. I can only speak about myself and my own lived reality.” Later, after all of the speakers had presented, audience members asked Ermiro to clarify his criticism. Ermiro affirmed that the very designation of a “leader” is contrary to the notion of “community” as it’s not productive to place a specific person on a pedestal when actions are intended for the benefit of the entire group. The final speaker was Lourenço Cezar da Silva, who spoke about the Maré Museum in his capacity as director. The Museum is part of the Center for Studies and Solidarity Actions of Maré (CEASM). 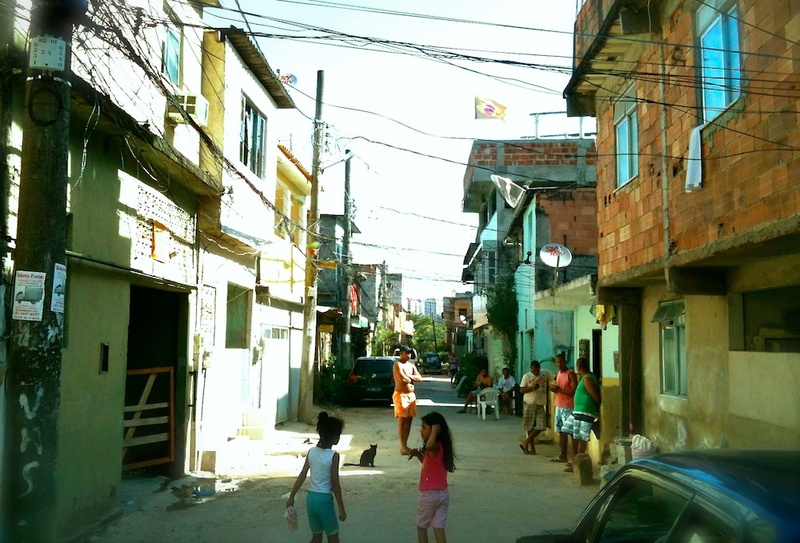 According to Silva, CEASM was conceived as a project to encourage political engagement in the favelas since residents’ associations had lost strength. He says the group thought that education would be the way to help residents understand more about politics and prevent anti-favela candidates from gaining so many votes in favelas, as frequently happens. Silva said that at the time, CEASM focused on two political issues that arose. The first was education, by way of the pré-vestibular (university entrance exam preparation course). 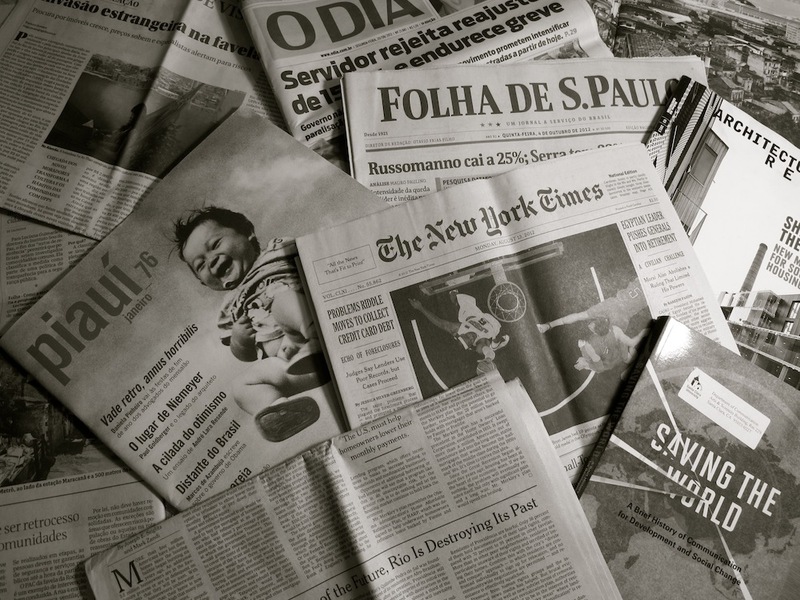 The second was the creation of a local media channel to compete with mainstream media, which eventually gave rise to the newspaper O Cidadão. 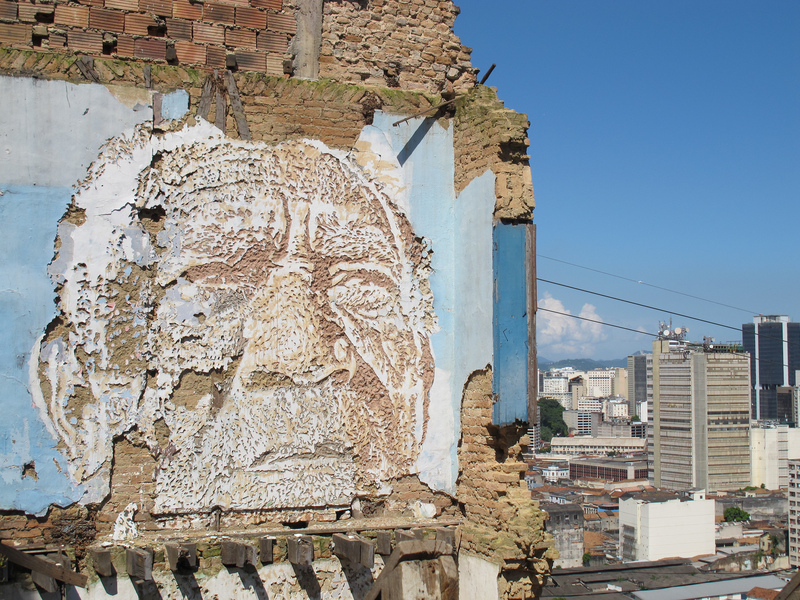 CEASM also created a center for local memory that hosted exhibitions so that university students would not reproduce existing perceptions in academia about favelas. After Silva’s speech, the debate opened for a brief exchange with the audience. 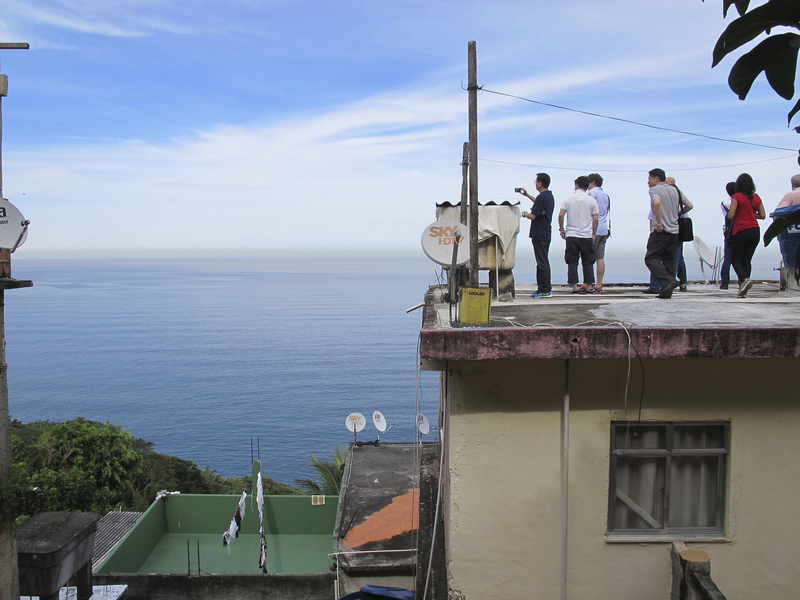 The focus shifted to a project of resignification organized by a resident’s collective from Vidigal in which artists are designing plaques to mark and preserve memory. In sum, through diverse perspectives, the event demonstrated ways of transforming society’s general view of the meaning of favelas. The event also made it clear that the stereotypical view of favelas as places of violence and filth is being deconstructed by favela residents themselves. This process of resignification is enacted by granting visibility to residents’ daily acts as they construct and reconstruct spaces, and through transparency, communication, and sharing the lived experiences of their residents.